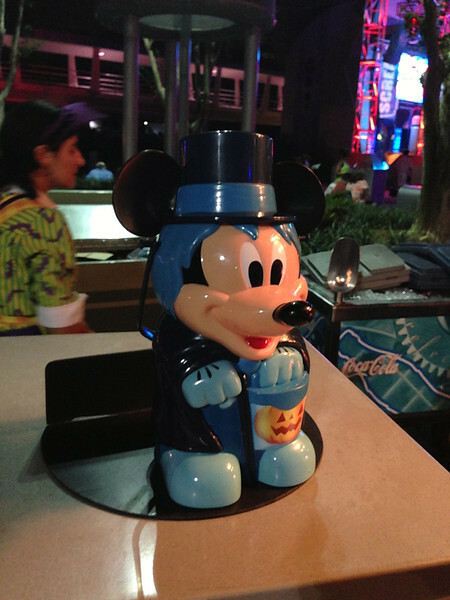 I attended the very fist Mickey’s Not-So-Scary Halloween Party on Tuesday and I am very happy to report that the offerings this year were much improved over years past. In short, a lot of small changes and additions did not go unnoticed. First off, if you want to pick up this year’s exclusive Sorcerers of the Magic Kingdom card, I suggest you make that your first stop at the party. 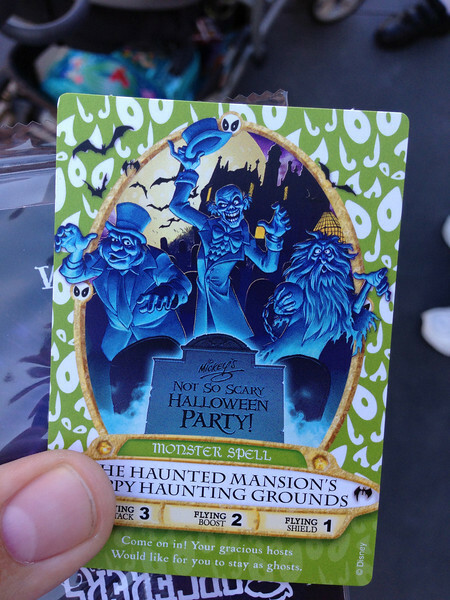 The card is available in limited quantities at each party and after they run out, well, Disney then starts to hand out the Chip and Dale card that was given out in 2012. Mickey’s Boo-To-You Halloween Parade, still pretty much the best parade you can see anywhere in Orlando, saw some minor changes this year. The Country Bears are now roaming around the route instead of on a float. Also, 3 of the cone units from the now-defunct Block Party Bash were repainted as candy corn and have found a new home towards the end of the parade. When they announced that the Tomorrowland Dance Party would get a Monsters Inc. overlay this year, I couldn’t have been less interested. However, seeing this party in person, all I can say is that I am stunned at the investment from Disney. The DJ’s costume, the set pieces, and the characters used really make for a fun experience. As much as I wanted to dislike this, the giant laugh canisters and the DJ’s CDA costume were just too much fun. The biggest addition to this year’s party is easily the new meet and greet with Jack Skellington and Sally from The Nightmare Before Christmas. The line fot his was so long, I didn’t even get near the photo area. 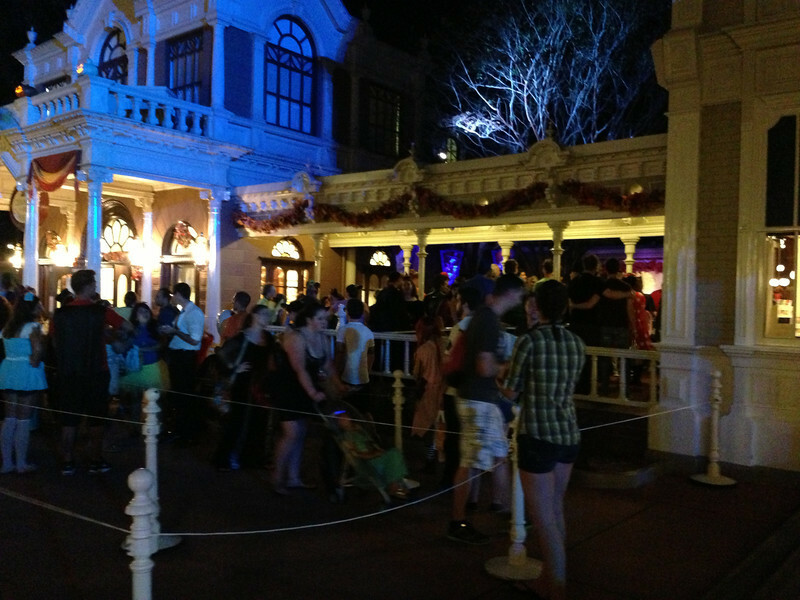 The line was constantly over an hour-and-a-half except during the first parade. That would be my suggested time to visit if you need to meet this pair. The candy quality was once again improved upon this year. Our bags were full of quality, name-brand candy when we left at Midnight. 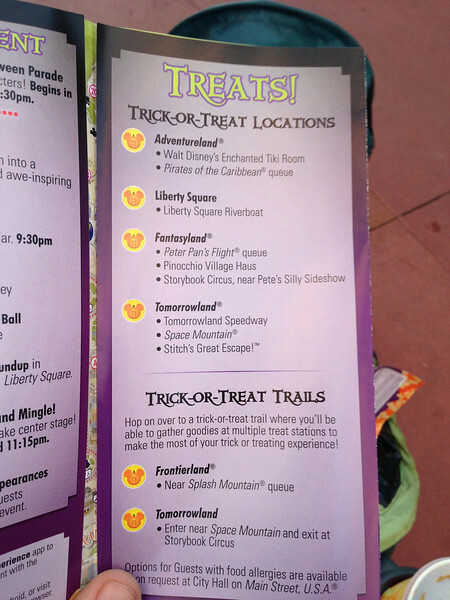 Kudos to Disney on making sure you at least get quality candy for your money. Oh, and don’t forget to get some Peeps on the way out of the park! 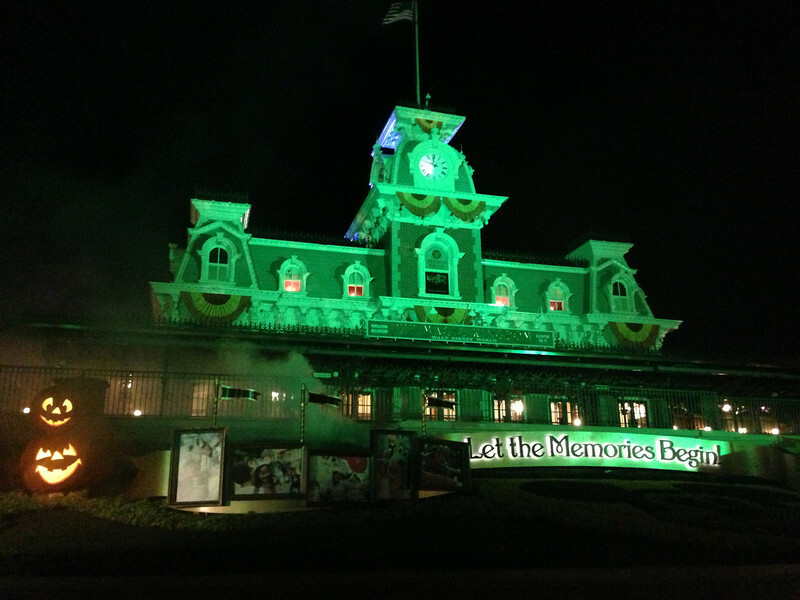 Overall, Mickey’s Not-So-Scary Halloween Party was as much fun as it always is. I’m glad to see many improvements, even if they are small, being made annually to this event. As always, I highly suggest that you attend this party if you have the chance as it always proves to be a great night at the Magic Kingdom. Thank you for this article! Can't wait to be there in 13 days! This totally got me pumped up! Where are the Sorcerer's cards handed out at? Thanks! I wish they still did complimentary photos. Where were Jack and Sally located? Thanks for the tip on meeting Jack and Sally. That is on my list for this year. Question – where do you pick up the peeps? Thank you for the repot Tom! Looking forward to the party on the 17th. 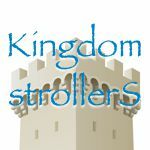 Can we pick up our sorcerer cards when we arrive early at 4:00 or do we need to wait until 7? Would you recommend getting in line to meet the 7 Dwarfs early (6/6:30pm) or during the 1st parade or at the very end of the night? I'm trying to figure out the time that will be the shortest wait. Thanks! Around 6pm I would line up. Where do you line up to greet 7 dwarfs? so they added jack and sally but cut other characters. That's not an improvement. Keep drinking the Kool-Aid. Can you give a rundown on the different characters for meet and greets and where they are located? I like to have a plan of attack in place for the characters before we go. Thanks. 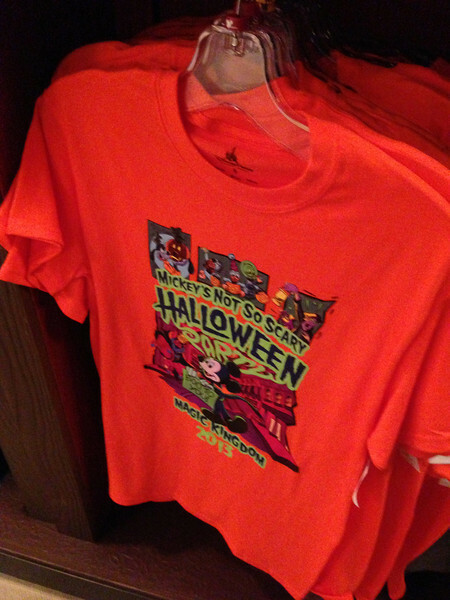 Orange MNSSHP T-Shirts seem to be kids sizes. Is that correct? 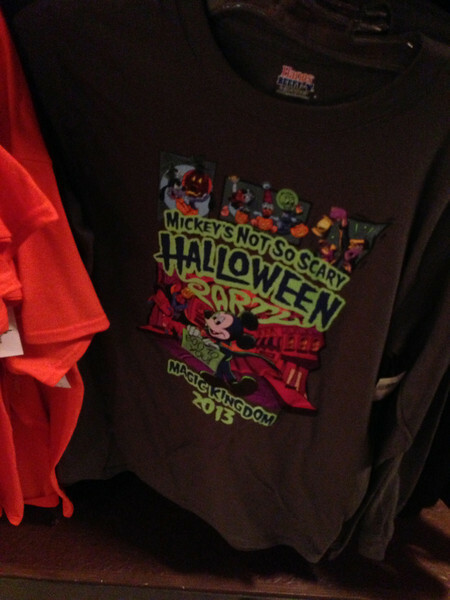 There are adult orange shirts. Had a great time but disappointed that all the pins were sold out weeks ago.